An important part of doing business is building relationships with partners that you can trust. These relationships allow businesses to adapt to new regulations, expand into new markets and persevere during times of disaster. When a disaster or accident affects a company’s operations, certain resources need to be deployed quickly to manage the incident so that critical operations can resume. Since it is not cost effective for many companies to purchase and maintain these resources themselves, they partner with Protect Environmental to respond to chemical spills, fuel spills, biohazard incidents and other special HazMat situations. Protect Environmental has been responding to emergency calls for eighteen years. Our professional and dedicated personnel are prepared to handle emergencies at any time during any day of the year. 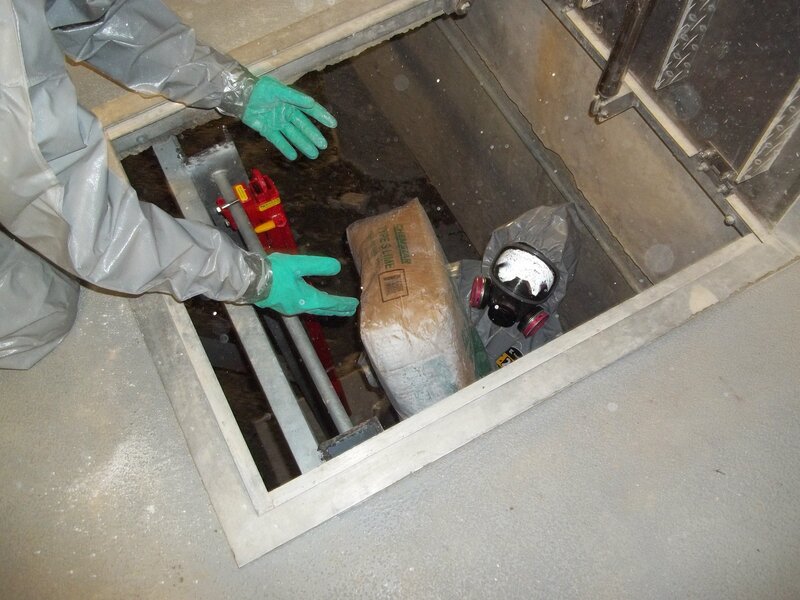 Their technical knowledge and experience allow them to tailor containment and cleanup strategies to a specific situation. Protect teams also follow a set of strict safety requirements that have prevented any serious injuries from occurring during our emergency operations. Companies that choose to partner with Protect Environmental know that they are building a team that displays confidence and competence. Our clients get dependable emergency response service during a crisis that helps them protect employee health and minimize lost profits. In return they give us their trust and loyalty. That’s why state agencies such as TXDOT and the TCEQ, along with municipal governments and companies all over North Texas have already put Protect Environmental in their corner. Every good working relationship starts somewhere so feel free to contact us. Whether you are interested in getting an emergency response contract in place or if you just want to ask a few questions about how Protect Environmental can help your business or organization, we are eager to hear from you. There are many types of disasters that can affect the businesses that operate in the North Texas Area. Fires, floods, tornadoes, roof collapses, vehicle accidents, theft, chemical spills and other industrial accidents can put a sudden halt to operations and cost a company serious money. In order to minimize losses and protect employees and resources, every company and organization should have a contingency plan. Some companies that use, store or ship hazardous materials are required by law to have contingency plans to ensure adequate response to chemical releases. Contingency plans lay out guidelines for employees to follow when a natural or man-made emergency occurs. These guidelines tell employees who to contact, where to go, and what to do when facing these incidents. Plans let employees know where to shelter in place during inclement weather as well as how and when to evacuate during fires and chemical releases at the facility. Employees should be familiar with emergency procedures so that when an incident occurs the response saves lives and property. You can’t plan for every single possible detail of an emergency but you can create a robust contingency plan that lists professionals you can contact who know how to handle and adapt to situations as they evolve. When you include Protect Environmental as a contractor in your contingency planning you can count on us to respond any time with a knowledgeable and well equipped HazMat team. We’ve been helping our clients with chemical and biohazard spills for almost two decades and when you choose to call Protect Environmental, your emergency is our priority. Contact us today to make sure your company or organization is prepared for any contingency. It is important for companies that perform work outdoors to plan for and educate their employees on safety policies regarding winter weather. Protect Environmental conducts spill cleanup operations year-round so our employees are trained and equipped to prevent serious injury during the coldest months of the year. When unprepared employees are exposed to cold weather conditions (especially temperatures below freezing) they run the risk of succumbing to several types of injuries including but not limited to slips/falls on ice, hypothermia and frostbite. Some factors to consider when preparing employees to work outside during the winter months are environmental conditions such as humidity, air temperature, wind chill and precipitation. The weather forecast should be closely monitored while employees are working since a change in any one of these conditions could mean a major change in the protection required to keep employees safe. A few protective guidelines that should be utilized include limiting exposure to the environment, wearing multiple layers of clothing, eating and drinking warm, high calorie foods and avoiding exhaustion, fatigue and excessive caffeine consumption. Portable heaters, hats, gloves, hand warmers, heavy coats, warm vehicles and short breaks are all tools that can be used to combat cold related illness and injury. The most important thing a company can do to prevent accidents and injuries in cold weather is promote employee training on how to prevent, recognize and treat these injuries. Any employee who is experiencing mental confusion, numbness, tingling or a change in the color or texture of their skin should seek shelter from the cold immediately and request medical attention if it is needed. The same applies if an employee notices these changes in someone else; it is important for team members to watch out for each other. Protect Environmental takes health and safety very seriously and we encourage everyone to do so as well. We have responded to chemical spills, bio-hazard spills and other emergencies during the harsh months of winter for over 18 years so our teams know what to expect and are fully prepared. At Protect, we believe that proper training and forward thinking allow us to keep one emergency from becoming another.